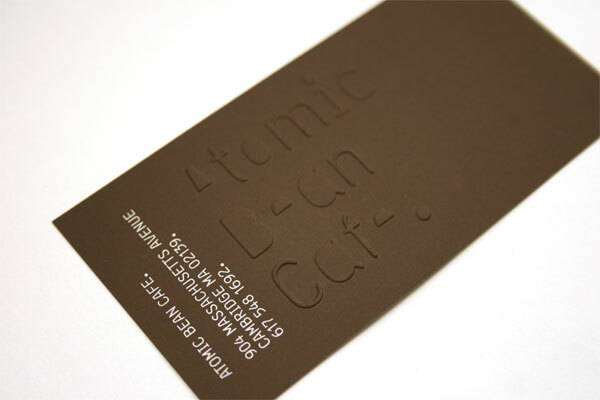 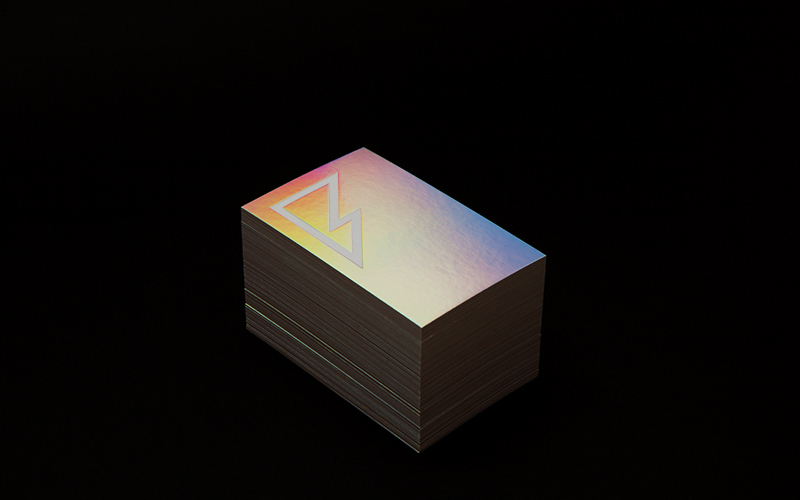 Blind embossing provides a lovely kind of abstraction when used, and that feeling is further exploited in the business cards for the Atomic Bean Cafe. 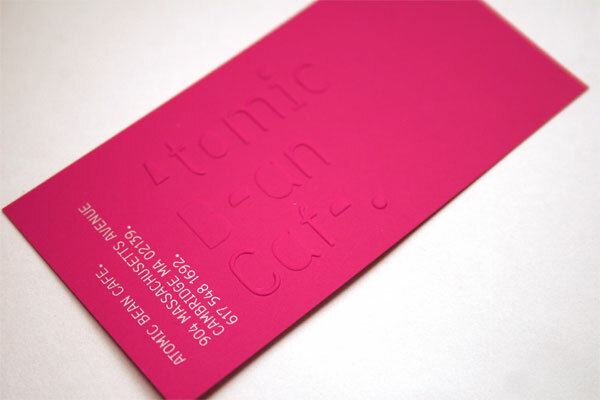 With bold and further abstracted letterforms, a unique texture and pattern is created on the colorful paper, almost like, I guess, atomic beans. 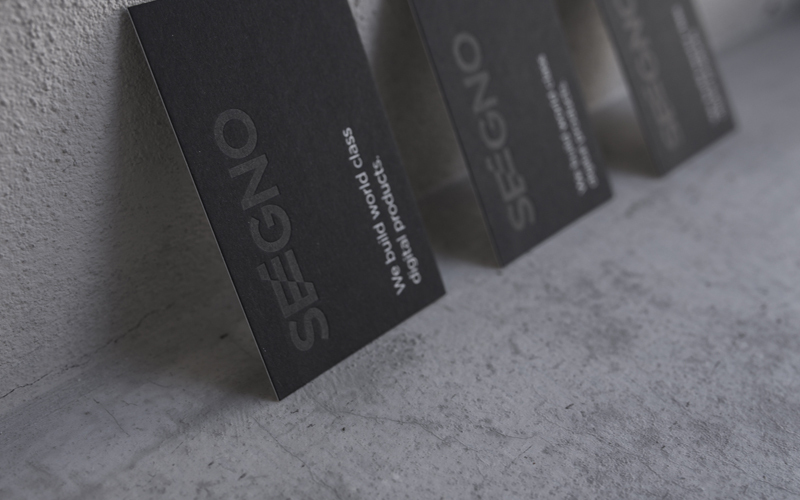 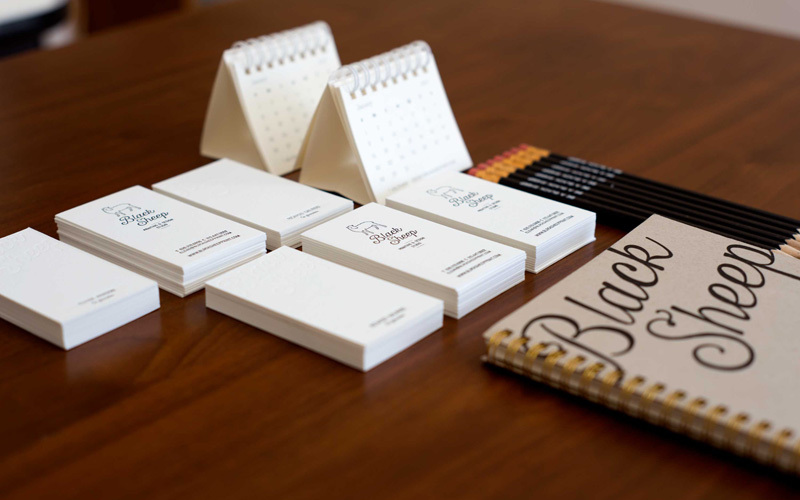 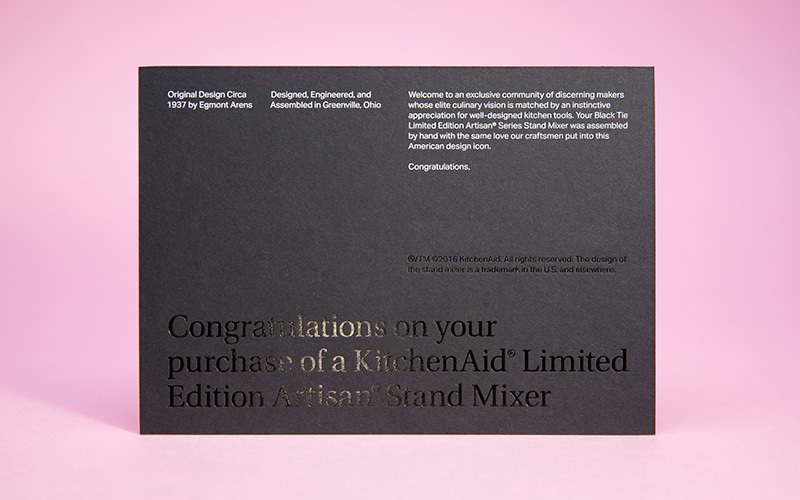 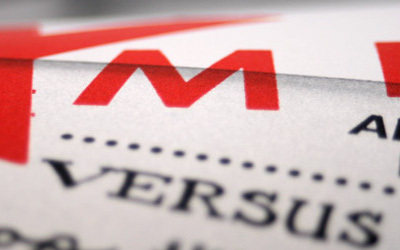 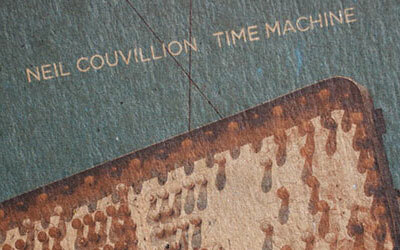 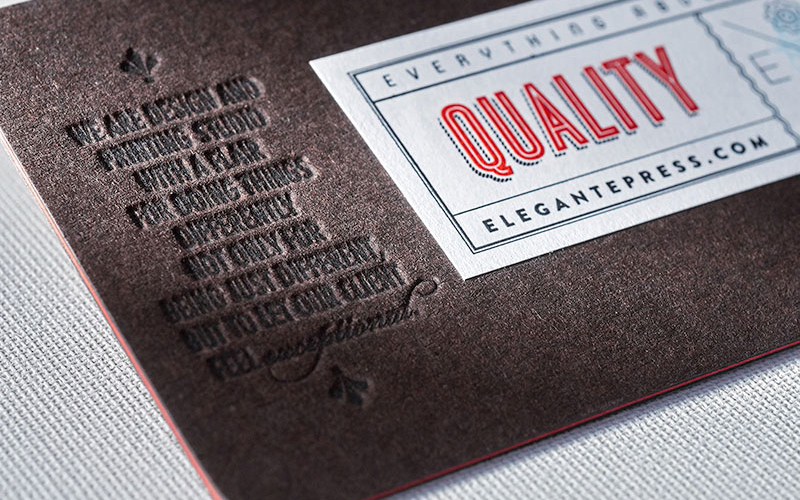 The necessary information complements this subtlety with a metallic ink.